Was I Wrongfully Terminated? 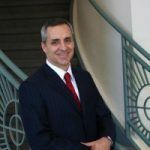 Gunderson, Denton & Peterson, P.C. All employees hope their job is safe as long as they abide by company rules, but of course, wrongful terminations happen. Sometimes there are signs that it will happen; other times employees are blindsided. Before polishing up your resume and heading for the classified ads, verify that you were fired legally according to your state’s and former company’s policies. States that have an “at will” employment policy (such as Arizona), allow businesses to terminate employment for no reason as long as it does not interfere with union privileges or violate the law. Employers can notify their employees of an at will employment policy in many ways. It can be in the job application, the employment contract, the employee handbook, or on a notice in the workplace visible to all employees. In fact, in Arizona, all employment arrangements are at will, unless there is a written agreement to the contrary. If a contract is involved in regards to employment conditions, neither party can break the contract without both parties agreeing to the changes or agreeing to the contract’s termination. If an employer breaks the contract, the employee was wrongfully terminated and should be entitled to damages. According to Title VII of the Civil Rights Act of 1964, no employer can fire an employee based on their gender, age, race, creed, or ethnicity. The Arizona Civil Rights Act also prohibits this sort of discrimination. The Americans with Disabilities Act (ADA) prohibits employers from firing disabled employees as long as they can perform their job requirements with reasonable accommodation. What constitutes a “disability” under the law, and what constitutes a “reasonable accommodation” under the law, can be complicated questions. It is also illegal to terminate an employee for reporting a violation of law. For example, if an associate goes to the store manager to file a discrimination complaint against the associate’s direct superior, that superior cannot fire the associate for making that claim. Similarly, termination for reporting sexual harassment is illegal. It can be difficult proving your termination was a result of employee discrimination because the evidence is not always visible. If you suspect your employer is discriminating against you, document proof of such behavior, as much as possible. For further assistance, contact the Mesa employment lawyers at Gunderson, Denton & Peterson, P.C. today at 480-655-7440. 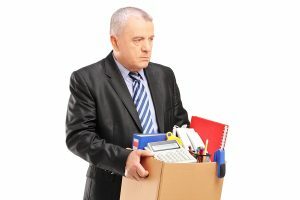 Arizona Attorney » Legal Blog » Employment » Was I Wrongfully Terminated?